Bite problems are quite common—as many as 75% of adults may have some form of orthodontic issue. Unfortunately, there's also something else just as common: that many people believe they're too old to correct it. This belief is a myth—while there are factors that could prevent orthodontic treatment, age isn't necessarily one of them. If your teeth, gums and bone are sound and you're in reasonably good general health, you most likely can have a bite problem corrected even beyond middle age. 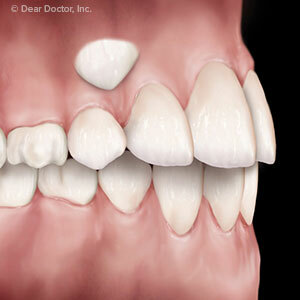 Why worry about it, though, if you've lived this long with misaligned teeth? For one thing, straightening teeth with braces or clear aligners can boost your dental health. Teeth that are in normal alignment are easier to keep clean of disease-causing bacterial plaque. You'll also find it easier to chew than if your bite is out of line. A more attractive, straighter smile can also impact your social and professional life. Having a smile you're not embarrassed to show can boost your self-confidence and image. Research on people who've undergone orthodontic treatment in adulthood have found improvements in social connection and even expanded career opportunities. 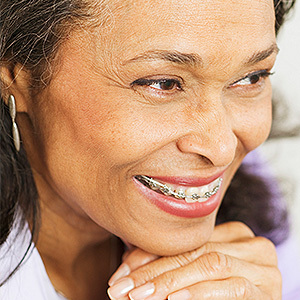 Orthodontic treatment can make a difference with your health and life, no matter your age. But while the number of years you've lived won't necessarily make a difference, what those years have brought could rule it out. If, for example, you've lost significant bone structure due to diseases like periodontal (gum) disease, your teeth may not be able to sustain the new position created by braces or aligners without a form of permanent fixation. If you have systemic conditions like severe cardiovascular disease, bleeding problems, leukemia or uncontrolled diabetes, orthodontic treatment could worsen those conditions. And certain prescription drugs may pose similar problems as well. That's why you'll need to undergo a thorough dental exam, as well as provide a complete medical history to your orthodontist. If nothing prevents you from treatment, though, you may be able to regain a new smile, better health and a new confidence in life. You don’t have to be a dental professional to appreciate a beautiful smile. Likewise, you’ll also know when something’s not quite right with one. Such can be the case when a tooth fails to erupt properly, causing most or all of the crown to remain below the gum line, a condition known as impaction. Upper canines (or “eyeteeth,” for their location in the arch under the eyes) are especially susceptible to impaction: located on either side of the lateral incisors, which are on either side of the central incisors (the two center front teeth). The upper canines are important both for function and appearance. Working with their lower counterparts they help cut through food as we chew, so you lose some of that efficiency when they don’t erupt properly. Impacted teeth are susceptible to abscesses and cysts, and can impinge upon and damage the roots of other teeth. 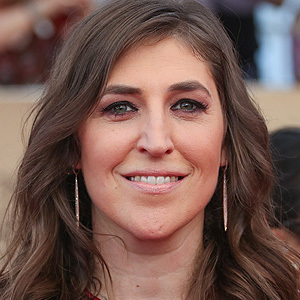 And just as importantly, their absence also disrupts the smile as nearby teeth tend to move or “drift” toward the open space. Rather than remove the impacted canines as is often done with back teeth, it may be more advantageous for both function and appearance to “coax” them into full eruption. This requires first pinpointing their exact location below the gums using x-rays or cone beam 3-D imaging. If the teeth are in reasonably good position we must first prepare them for orthodontic treatment by surgically exposing the crown from the gums and bonding a small bracket to it. We then attach a small gold chain to the bracket that extends outside of the gums when we suture them back into place. The chain is attached to orthodontic hardware that exerts pressure on the impacted tooth for several months to “pull” it out into the arch. This procedure has the best chance of success if undertaken before the end of jaw development in early adulthood. Otherwise, it may be better to remove the impacted canines and replace them with dental implants, followed by orthodontic treatment of other teeth to restore their proper position and bite relationships. In either case, your impacted upper canines don’t have to be a problem — we can restore both your mouth function and your smile. There are a few things you need to do — and not do — while wearing braces: avoid hard or sticky foods, for example, or wear protection during sports to avoid injury. There's one important thing, though, that should be at the top of your list — extra attention to daily brushing and flossing. The fact is your risk for developing tooth decay or periodontal (gum) disease increases during orthodontic treatment. This is because the braces make it more difficult to reach a number of locations around teeth with a toothbrush or floss. Bacterial plaque, the source for these dental diseases, can subsequently build up in these areas. 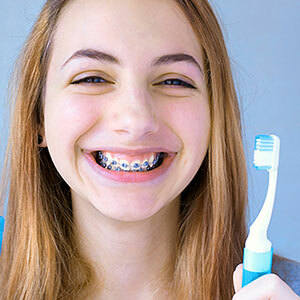 Teen-aged orthodontic patients are even more susceptible to dental disease than adults. Because their permanent teeth are relatively young they have less resistance to decay than adults with more mature teeth. Hormonal changes during puberty also contribute to greater gum disease vulnerability. There are some things you can do while wearing braces to avoid these problems. Be sure you're eating a nutritious diet and avoid sugary snacks or acidic foods and beverages (especially sports or energy drinks).Â This will deprive bacteria of one of their favorite food sources, and the minerals in healthy food will contribute to strong enamel. More importantly, take your time and thoroughly brush and floss all tooth surfaces (above and below the braces wire). To help you do this more efficiently, consider using a specialized toothbrush designed to maneuver around the braces. You might also try a floss threader or a water irrigator to remove plaque between teeth. The latter device uses a pressurized water spray rather than floss to loosen and wash away plaque between teeth. Even with these efforts, there's still a chance of infection. So, if you notice swollen, red or bleeding gums, or any other problems with your teeth, visit us as soon as possible for an examination. The sooner we detect and treat dental disease while you're wearing braces, the less the impact on your future smile.